aGupieWare: Will History Be Written By Lasers And Preserved On Crystals? 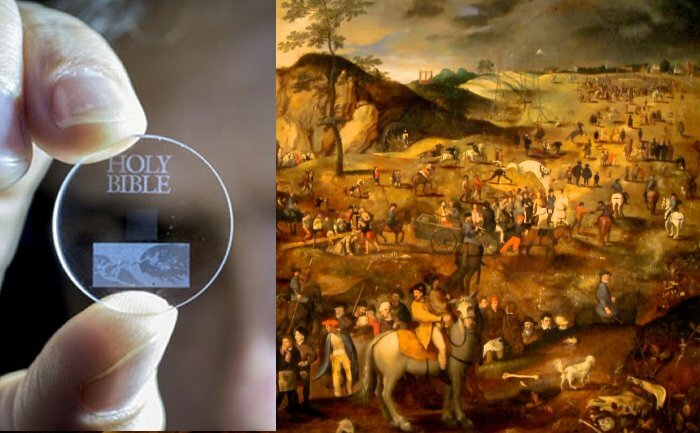 Will History Be Written By Lasers And Preserved On Crystals? Have you ever written something so mellifluously elegant, so heartwrenching, or so damn dirty that you hid it away on a disk? How about preserving important family history in your formerly-current computer's format? If this happened twenty (or even ten) years ago, that disk is likely now obsolete. How can we keep our digitized information in perpetuity when it's tougher and tougher to stay caught up with upgrades? right up until we all find out whether they're real or not. According to Gizmodo, scientists have discovered a way to etch massive quantities of information onto nanostructured quartz discs. The discs, which are smaller than CDs, can hold a whopping 360 terabytes of data. They are thought to be able to survive for 14 billion years, at temperatures up to 250 degrees Fahrenheit. While a similar process had previously allowed the etching of some 40 megabytes of information per square inch (about the same data density as a music CD), the updated process opens up a huge new opportunity for long-term, large-scale data preservation. 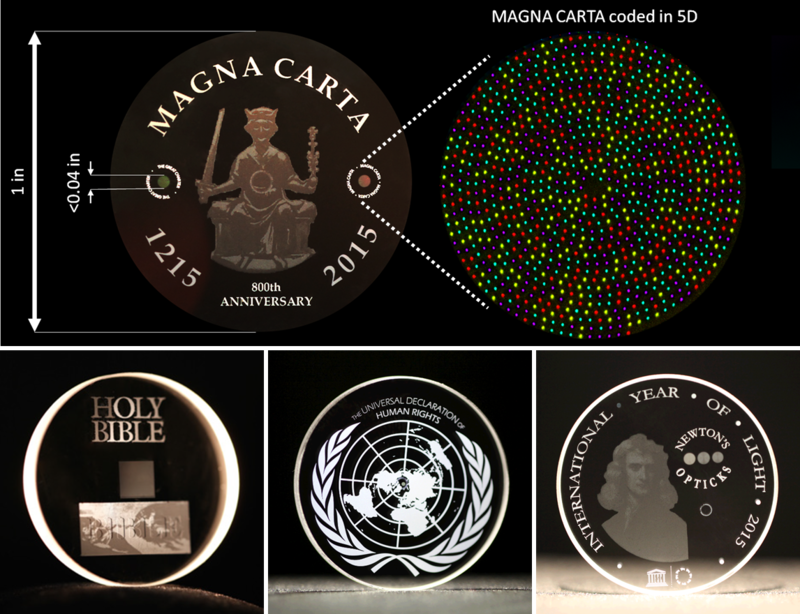 The scientists involved in the discovery have gauged the possible data storage size by practice-printing smaller works onto small discs, including the Universal Declaration of Human Rights, Newton’s Opticks, the Magna Carta and the Kings James Bible. Your future library might just be a pretty collection of quartz discs. The team, who hail from the University of Southampton, UK, uses femtosecond-fast pulses of laser light to etch the data to the nano-structure of the quartz. Three layers of nanoscale dots are etched a mere five microns from each other. The disc is then "read" by passing light waves through it and observing how their polarization is altered. Now, we can record human history until our (probably near) end, and keep it around nigh-forever. So you better do something interesting, or at least write like you did. To put that in perspective, a femtosecond is one quadrillionth - one millionth of one billionth - of a single second. A micron is one millionth of a meter (a single human hair is around 100 microns.) You could probably carry a whole library in the space of one good-sized book. Oh, and the sun is slated to burn out in about a third of the 14 billion years the data would exist until. So keep writing those piles of "X-Files"/"Indiana Jones" mash-up fan-fiction. Keep churning out manuscripts for plays based on your dog's perceived inner monologue. Write the Great American Novel, or at least 500 drafts of what it could be. Soon, your quantity of masterpieces could be kept safe forever, all together. There are some love stories that will be written and rewritten forever through the ages.